Here are the two blouses I’ve made for the same customer. 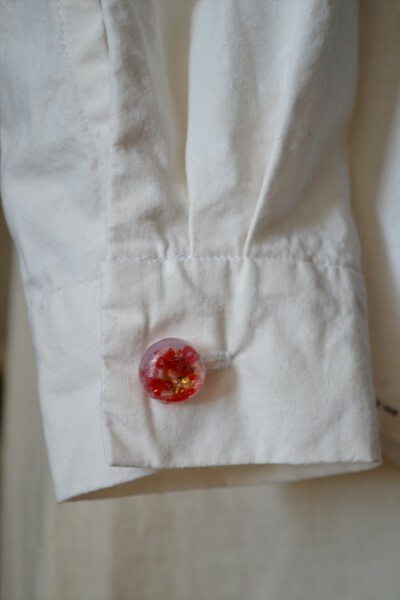 They are made-to-order versions of the Smart Girl’s blouse in calico and in the final design. 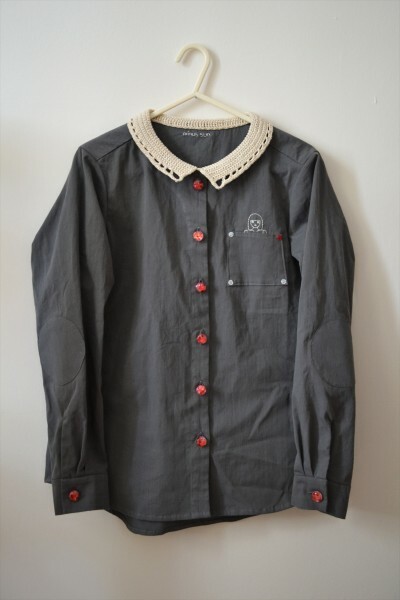 This one is almost the same as the calico version but with added elbow patches and in a slightly stiffer calico. 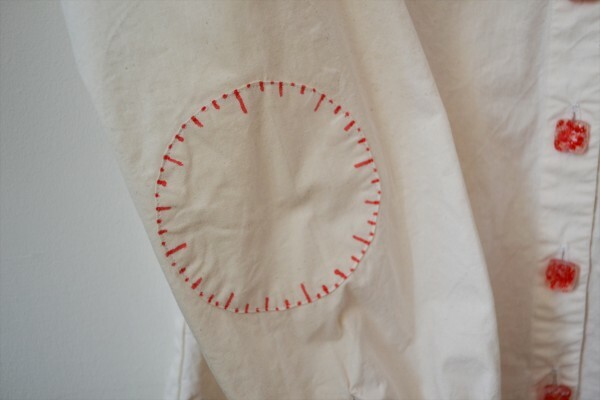 The stitch lines are drawn using a fabric pen, no actual embroidery. 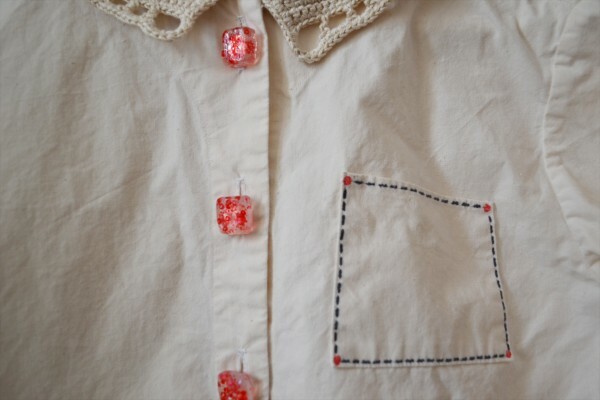 This design has cotton crocheted collars and a breast pocket in the shape of the Great Square of Pegasus with dots representing stars and dashed lines joining them. 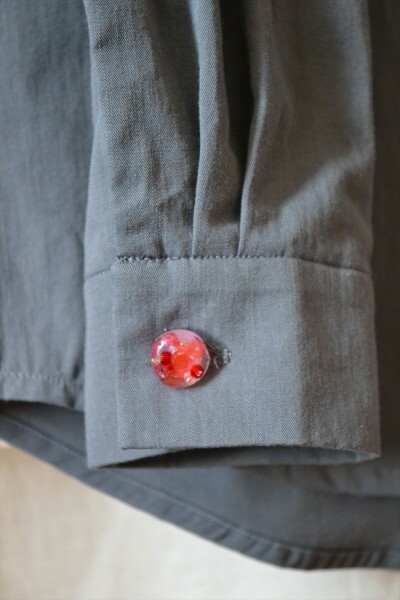 Handmade square resin buttons go with the square theme. This part is the different from my original. Added elbow patches with lines representing graduation for direction. 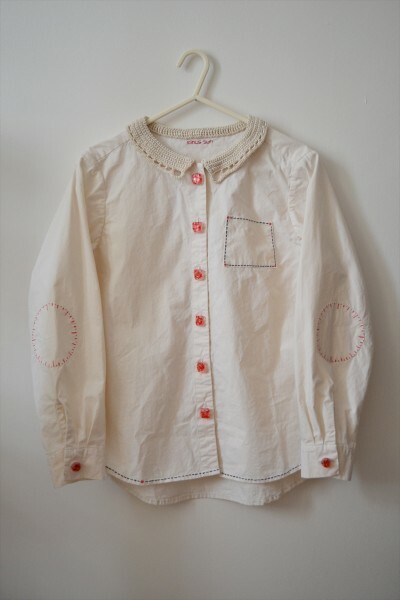 This design is coming from the Controlling Girl’s shirt dress. 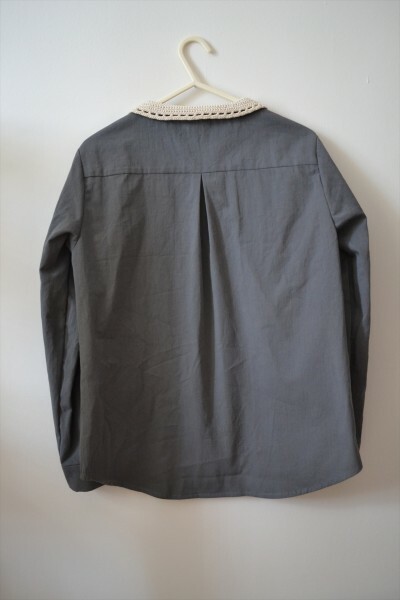 This is the other blouse made in middle weight grey cotton. 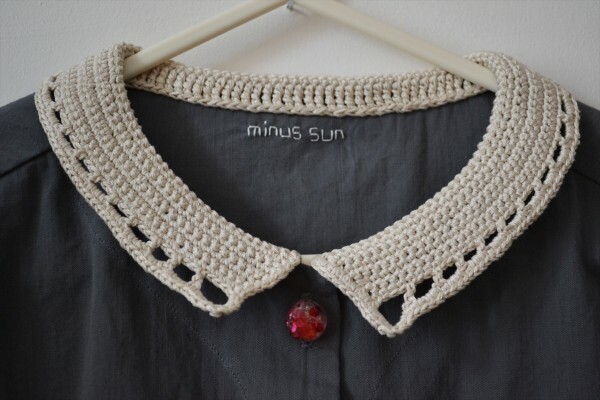 The cotton crocheted collar is the same but the buttons are round and smaller. 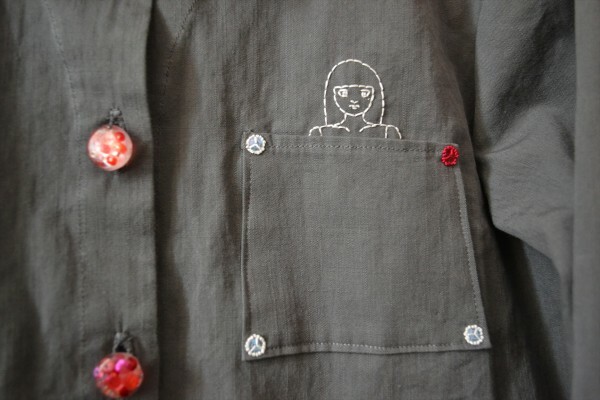 There are no running stitch on the pocket or at the hem but stars are hand embroidered with sequins and French knots. 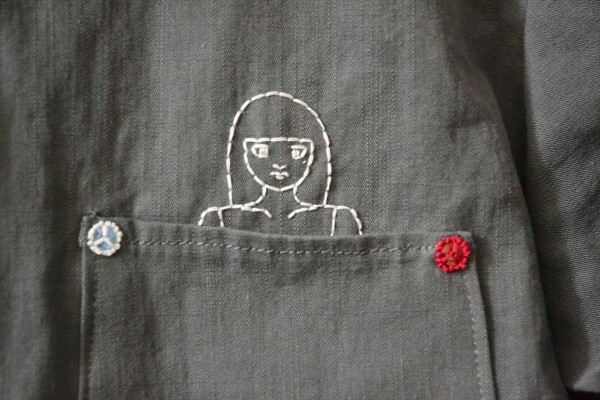 There is a embroidered girl peeking from the pocket.